The Tampa Bay Area is the region of west central Florida adjacent to Tampa Bay. Definitions of the region vary. It is often considered equivalent to the Tampa–St. Petersburg–Clearwater Metropolitan Statistical Area (or MSA) defined by the United States Census Bureau. A wider definition is adopted by other entities, including state agencies like Enterprise Florida and the Florida Department of Transportation, and the Tampa Bay Partnership, a not-for-profit organization created to promote economic growth in the region. These entities include additional nearby counties. According to the Tampa Bay Partnership the Greater Tampa Bay Region contains 4 million residents. The Tampa Bay Partnership and U.S. Census data showed an average annual growth of 2.47 percent, or a gain of approximately 97,000 residents per year between 2000 and 2006. The combined Greater Tampa Bay region experienced a combined growth rate of 14.8 percent, growing from 3.4 million to 3.9 million and hitting the 4 million mark on April 1, 2007, in the continuous Tampa Bay urban area. A 2012 estimate of the Tampa Bay Area shows a population of about 4,310,524 people and a 2017 projection of about 4,536,854. Precise definitions of the Tampa Bay region vary. The U.S. Census Bureau defines the Tampa–St. Petersburg–Clearwater Metropolitan Statistical Area as comprising Hillsborough, Pinellas, Pasco, and Hernando counties. Other entities use a wider definition. 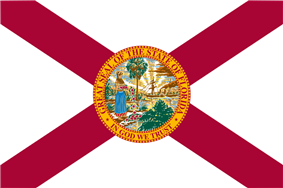 Enterprise Florida, the state's economic development agency, identifies the Tampa Bay region as one of eight economic regions used by the agency and other state and outside entities, including the Florida Department of Transportation. This definition includes the four counties above with the addition of Manatee and Sarasota counties (constituting the North Port–Bradenton–Sarasota MSA) to the south, Citrus County to the north, and Polk County (coextensive with the Lakeland – Winter Haven MSA) to the east. The Tampa Bay Partnership, private growth and development organization, also uses this definition. The Tampa Bay media market includes the wider region promoted by the Tampa Bay Partnership. Polk County is served by media outlets from both Tampa and Orlando, although the east of that county has closer economic ties to Orlando. Significant daily commuting also occurs within the region promoted by the Tampa Bay Partnership. The Tampa Bay Area Regional Transportation Authority (TBARTA) includes the four core counties plus Citrus, Manatee, and Sarasota counties. The following is a list of important cities and unincorporated communities located in both the core Tampa–St. Petersburg–Clearwater MSA, along with the other counties included in some definitions of the Tampa Bay region. Tampa Bay's expanding population has grown more than 11 percent in the past six years and is projected to grow an additional 9 percent by 2011. The wider Tampa Bay region's population is projected to increase from the current 3.8 million to more than 4.2 million in 2011. That translates to over 70,000 new people a year, mostly through migration. In 2008 the area's construction based boom was brought to a sudden halt by the financial crisis of 2007–2010, and by 2009 it was ranked as the fourth worst performing housing market in the United States. The Tampa Bay area has a humid subtropical climate (Koppen Cfa), with warm temperatures and the threat of thunderstorms during the summer and the winter frost at least once a year. However, large freezes only occur in the area about every 10–15 years, and the area shows some characteristics of a tropical monsoon climate. The area is listed by the United States Department of Agriculture as being in hardiness zone 9b, which is about the northern limit of where coconut palms and royal palms can be grown. Highs usually range between 65 and 95 °F (18 and 35 °C) year round. Surprisingly to some, Tampa's] official high has never reached 100 °F (38 °C)—the all-time record high temperature is 99 °F (37 °C). St. Petersburg's all-time record high is exactly 100 °F (38 °C). Nearly one in four of the state's business and information services firms resides in Tampa Bay. These firms range from financial services firms to information technology providers to professional services organizations such as law firms, accounting firms, engineering firms, consulting and more. As a gateway to the Florida High Tech Corridor, Tampa Bay is home to many information technology firms along with many business services providers. Wall Street South is Tampa Bay's financial services cluster is the largest in the state of Florida and ranks 20th in the nation in terms of domestic employment. The size and scope of this sector has drawn many service vendors to the region to support the financial services industry. Researchers at the University of South Florida's Nanomaterials and Nanomanufacturing Research Center (NNRC), H. Lee Moffitt Cancer Center and the Center for Ocean Technogy at USF's College of Marine Science are researching how to use nanotechnology for a myriad of targeted uses including drug delivery, mechanized microsurgery, customized laser microchips, ways to turn sunlight into electricity, purifying water, storing hydrogen in small nanotubes, designing and developing marine sensors using microelectromechanical systems (MEMS) and curing cancer. The University of South Florida's Center for Ocean Technology, which has been a leader in microelectromechanical systems research and development and has been using the technology to collect biological and chemical data to monitor water quality, provided underwater technology for port security at the 2004 Republican National Convention. USF's Center for Robot-Assisted Search and Rescue used its miniature robots to assist rescue teams at Ground Zero following the September 11 terrorist attacks. Tampa Bay is also the location of two major military installations, MacDill Air Force Base and Coast Guard Air Station Clearwater. MacDill AFB is home to the 6th Air Mobility Wing of the Air Mobility Command (AMC) and the 927th Air Refueling Wing of the Air Force Reserve Command (AFRC). Both wings share flight operations of a fleet of KC-135 Stratotanker aircraft. MacDill also hosts multiple tenant organizations, to include two major combatant commands: United States Central Command (USCENTCOM), which directs military operations in Afghanistan, Iraq, and the Middle East; and United States Special Operations Command (USSOCOM), which has responsibility for all special operations forces in the U.S. Armed Forces. CGAS Clearwater is located at the St. Petersburg–Clearwater International Airport. It is the largest air station in the United States Coast Guard, operating HC-130 Hercules aircraft and HH-60 Jayhawk helicopters with principal missions focused on search and rescue, counternarcotics interdiction, and homeland security. Tampa Bay ranks in the top 20 nationwide for medical device manufacturing clusters. The industry employs more than 10,000 people with an average wage in excess of $49,000 and produces over $2 billion worth of goods and services for an economic impact of more than 51,000 jobs and $5 billion. Tampa Bay's history of manufacturing for the defense industry has created a workforce skilled in high-precision fabrication of electronic parts and assemblies and experience in dealing with government relations, easing the transition to the highly regulated medical manufacturing industry. The Tampa Bay media market also includes Citrus, Manatee, Sarasota, and Polk counties, which are outside the Tampa Bay metropolitan area. The area is home to several institutions of higher learning, including the main campus of the University of South Florida in Tampa and the satellite campuses of USF St. Petersburg, USF Sarasota-Manatee, and USF Polytechnic in Lakeland. Eckerd College in St. Petersburg, the University of Tampa, Clearwater Christian College, Florida College in Temple Terrace, Saint Leo University in Pasco County, Florida Southern College in Lakeland, and New College of Florida and Ringling College of Art and Design, both in Sarasota, are all four-year institutions located in the area. Stetson University College of Law and Thomas M. Cooley Law School are the area's only law schools. Stetson University has campuses in Gulfport and Tampa. The newly built (May 2012) Thomas M. Cooley Law school is located in Riverview. Hillsborough Community College, St. Petersburg College, State College of Florida, Manatee–Sarasota, and Pasco-Hernando Community College are community colleges serving the area. The area is home to an unusually high concentration of quality art museums. Long established communities, particularly those near the bay such as Cuban flavored Ybor City, Old Northeast in St. Petersburg, and Palma Ceia and Hyde Park in Tampa contain historic architecture. Florida Southern College in Lakeland is home of the world's largest single-site collection of Frank Lloyd Wright architecture. Fresh seafood and locally grown produce are available in many restaurants and in weekly farmers' markets in multiple urban centers in the area. Yuengling, the largest American-owned brewer, operates a brewery in Tampa, as does the highly regarded craft brewer Cigar City Brewing. Sports attractions, in addition to the teams listed below, include many professional quality golf courses, tennis courts, and pools. Ybor and the Channel District in Tampa, downtown St. Petersburg, and the beaches all along the coast all attract a vibrant nightlife. The area is highly noted for its beaches, with the warm, blue gulf waters and nearly 70 miles of barriers islands from North Pinellas south to Venice, attracting tourists from all over the world. Three of the beaches in this area, Fort De Soto's North Beach (2005), Caladesi Island (2008), and Sarasota's Siesta Key (2011) have been named by Dr. Beach as America's Top Beach. The Tampa Bay Area is home to three major professional sports teams and a number of minor-league and college teams. Regardless of the specific city where they play their games, all of the major pro teams use "Tampa Bay" in their name to signify that they represent the entire area. Major League Baseball teams have come to the Tampa Bay area for spring training since 1913. Grapefruit League games are still a favorite pastime for both residents and tourists alike every March. Each spring at Raymond James Stadium, the USEF's top 30 ranked equestrians compete at the American Invitational for the sport's largest purse. The Tampa Bay Times Forum in Tampa has been the site for various rounds of NCAA Men's and Women's basketball championship tournament over the years, as well as conference tournaments. The Tampa Bay area is home to an extensive system of state, county, and city parks. Hillsborough River State Park in Thonotosassa and Myakka River State Park in Sarasota are two of Florida's original eight state parks and Honeymoon Island State Park, near Dunedin, is Florida's most visited state park. De Soto National Memorial in Bradenton commemorates the 1539 landing of Hernando De Soto in the area. Pinellas County is home to the Fred Marquis Pinellas Trail, a 37-mile running and cycling trail over a former railroad bed connecting Tarpon Springs to St. Petersburg. Skyway Fishing Pier State Park, the remnants of the approaches to the original Sunshine Skyway Bridge forms the world's largest fishing pier in Pinellas and Manatee counties. The shallow waters and many mangrove islands of the bay and gulf make the area popular with kayakers. The gulf is also home to a large number of natural and artificial coral reefs that are popular for fishing and scuba diving. Tampa International Airport is the largest airport in the region with 21 carriers and more than 17 million passengers served last year. In addition to the recent opening of a new terminal, improvements are being planned to handle 25 million passengers by 2020. Traveler satisfaction has always been a top priority for "America's Favorite Airport." It has won high recognition in the international J.D. Power and Associates Global Airport Passenger Satisfaction Study for three consecutive years. The Condé Nast Traveler recognized TIA as the third best airport in the world and IATA Skytrax 2003 survey named TIA as the No. 2 airport in North America. Sarasota–Bradenton International Airport has experienced a 19.2 percent increase in passenger traffic during the first quarter of 2005, mainly due to the addition of AirTran Airways and expanded service to destinations. Amtrak provides passenger rail service from Union Station in Tampa. CSX provides freight rail service for the entire Tampa Bay region. The railroad serves every major population and industrial center east of the Mississippi including Ontario and Montreal. CSX also connects with more than 166 bulk intermodal distribution terminals and rail-to-truck bulk transloading facilities throughout its service area, linking it to all of North America. Bus service is provided in Hillsborough County by Hillsborough Area Regional Transit (HART), in Pinellas County by Pinellas Suncoast Transit Authority (PSTA), in Pasco County by Pasco County Public Transportation and in Hernando County by THE Bus. HART and PSTA provide express services between Tampa and Pinellas County, and PSTA provides connections to Pasco County. HART also operates the TECO streetcar between downtown Tampa and Ybor City. In 2013 HART also began operating a Bus rapid transit system called MetroRapid that runs from downtown Tampa to the University of South Florida. Hillsborough County is also served by other roadways such as the Lee Roy Selmon Expressway (SR 618) which commutes workers from Brandon into downtown Tampa and the Veterans Expressway/Suncoast Parkway (Toll 589) which serves traffic from the Citrus/Hernando County border southward into Tampa.